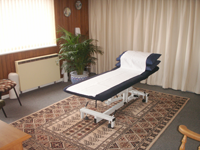 Gloucester Natural Therapies Clinic offers a friendly and professional setting with comprehensive facilities for all Natural Health related activities. With a choice of 6 fully equipped treatment rooms, 1 colon hydrotherapy suite, and 1 large group room, there is scope for everyone. 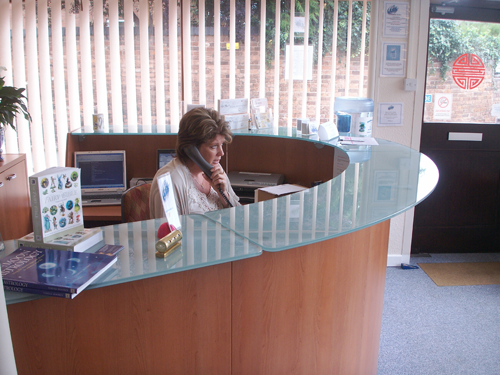 A vast range of professional individuals, health groups, organisations, therapists and teachers use our facilities. "Start Up Package" is designed to help new Practitioners to build up their patient base. This package can be used for the first six month period before entering into the main rental structure. It is the clinic policy that Practitioners doing the same therapies all charge the same fees for their treatments. Gloucester Natural Therapies clinic only accepts professionally qualified and insured teachers and/or practitioners. There are 6 practice and 2 group rooms available. The largest room is approx. 3x7m. Prices include reception service, all room facilities, credit card system, kitchen and ground and first floor toilets. Please note: Reception does not cover Sundays, Monday and after 2pm Saturdays. To enquire about using our facilities, please feel free to contact us via email or telephone, on the Contact us page.